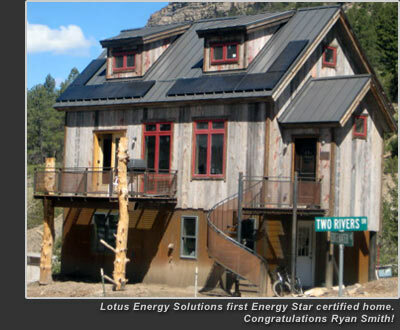 Lotus Energy Solutions is a small local business focused on providing home energy efficiency consultation for the San Miguel County region. We provide expertise on reducing your home or business’ energy consumption, and we can certify your home as ENERGY STAR. Home and business owners who consider making energy efficient improvements are making the decision to pay into the equity of their home instead of future energy bills. The benefits include reduced energy use, lower ownership costs, better performance and comfort, smart investment, and environmental protection.